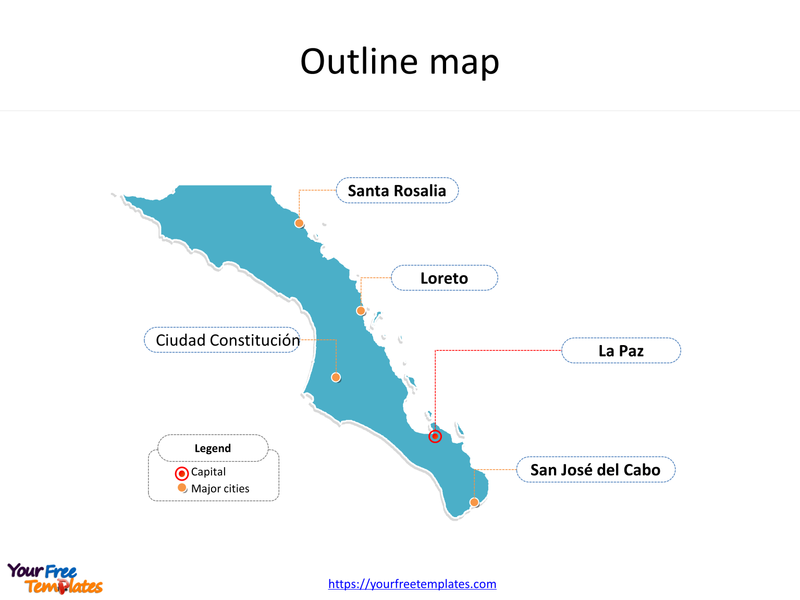 The State of Baja California Sur map Template in PowerPoint format includes two slides. Firstly the Baja California Sur map with outline is labeling with capital and major cities. Secondly the Baja California Sur maps with municipalities and labeling with major ones. 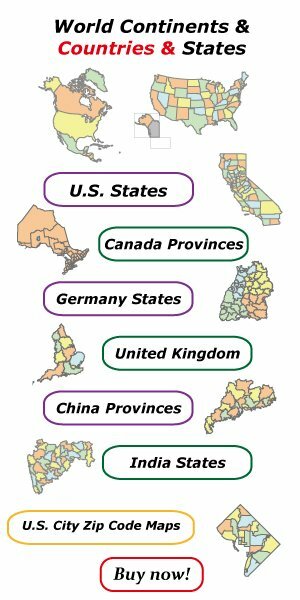 So our Baja California Sur maps PowerPoint templates have capital and major cities on it. They are Mexicali, Tijuana and Ensenada. Finally the most populated municipalities are La Paz, Los Cabos and Comondú. The Baja California Sur maps PowerPoint templates include two slides. Baja California Sur is the second-smallest Mexican state by population and the 31st admitted state of the 31 states which, with Mexico City, make up the 32 Federal Entities of Mexico. Firstly it is bordered to the north by the state of Baja California, to the west by the Pacific Ocean, and to the east by the Gulf of California, or the “Sea of Cortés”. Secondly the state has maritime borders with Sonora and Sinaloa to the east, across the Gulf of California. Thirdly the state is home to the tourist resorts of Cabo San Lucas and San José del Cabo. Its largest city and capital is La Paz, other major cities including Loreto, Santa Rosalia, San José del Cabo and Ciudad Constitución. 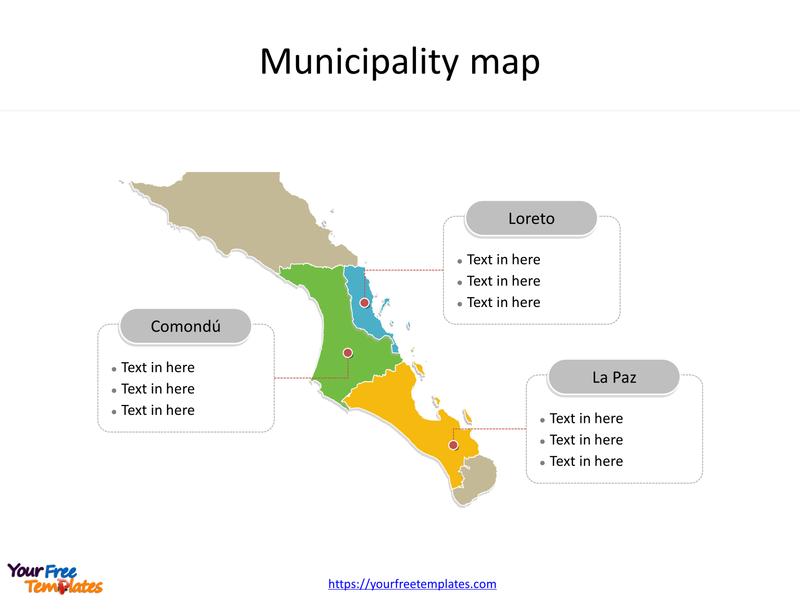 You can found them in our Baja California Sur maps PowerPoint templates. The most populated counties in Baja California Sur State are La Paz, Los Cabos and Comondú. What is more, Baja California Sur has an area of 73,909 km2 (28,536 sq mi), or 3.57% of the land mass of Mexico, and occupies the southern half of the Baja California Peninsula, south of the 28th parallel, plus the uninhabited Rocas Alijos in the Pacific Ocean. The labels and shapes are layers of different groups. At the same time you can also refer to the fully labeled State of Baja California Sur in Wikipedia. Believe it or not, analysts from marketing research companies, consultants from professional firms think highly of our website yourfreetemplates.com. Most important of all, our maps can help to reduce their efforts and create good-looking maps.